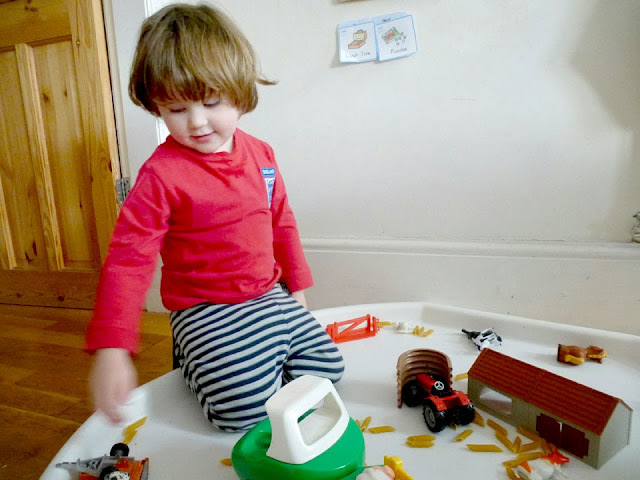 Part of our regular play is using our fabulous Tuff Spot, a huge plastic mixing tray that can be used for all kinds of imaginative and messy play. I keep Toby interested by changing the theme and using lots of different materials and textures. This week we had a farm set up where tractors and cows crunched around in pasta and a dog came along and ate the dried pasta (silly old girl) whilst a little boy fell about laughing and sat in the pasta. Rocks, grass, water and dinosaurs. Once play has finished I just take the Tuff Spot outside and brush all the bits into the bin, give it a quick hose down and we are all ready to play again the next day. They are such a great tool to mix the magic up in play and the possibilities are endless. 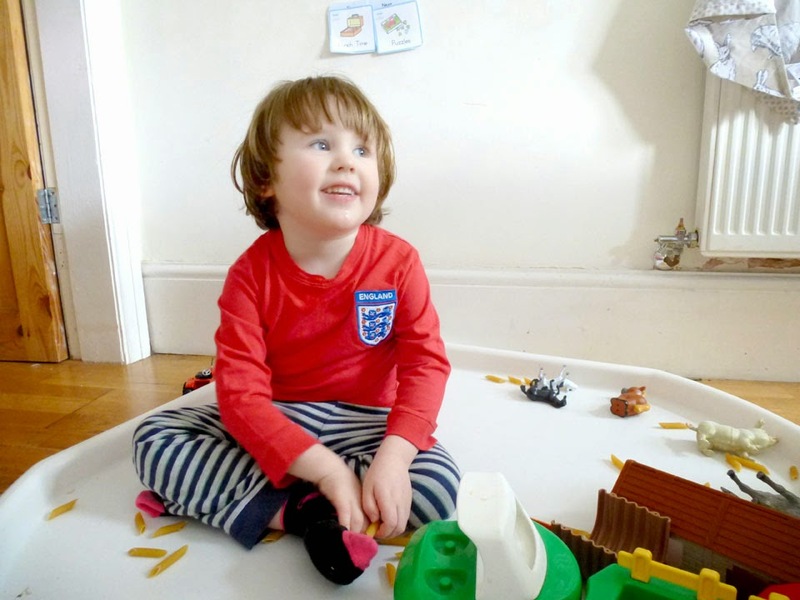 Great for when friends come around on play dates, encouraging my little boy to take turns and play nicely. Have you got one? 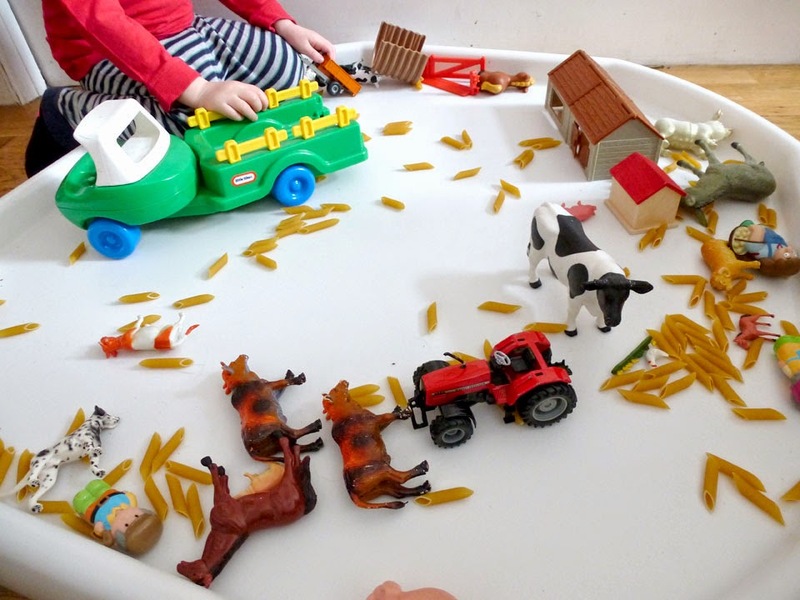 Any more ideas for some great messy play?